Energy Efficiency in the Urban Environment is a study of energy crisis, urbanisation, and climate change, as well as a discussion of how to combat these global challenges. 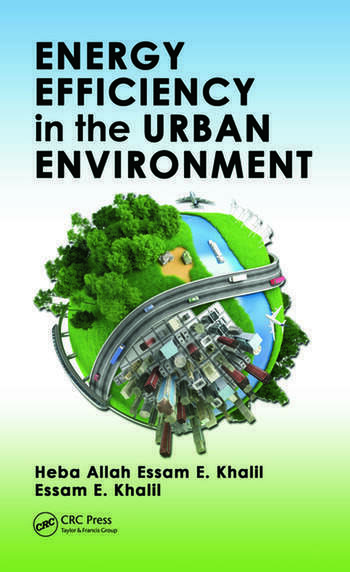 With a special focus on Egypt, this book addresses the macroscale of urbanism from the perspective of city dwellers’ quality of life, and explores the microscale of buildings and the perspective of ensuring indoor air quality within the boundaries of energy efficiency. 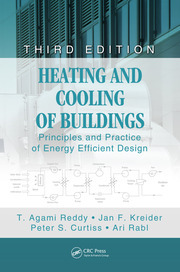 Energy Efficiency in the Urban Environment demonstrates the importance of implementing an energy performance directive to aid energy savings in large buildings and set regulations for energy-efficient designs based on standard calculation methods. 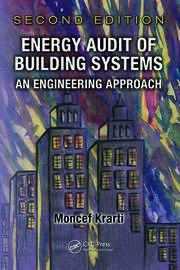 This book provides engineers working with sustainable energy systems, urban planners needing information on energy systems and optimisation, and professors and students of engineering, environmental science, and urban planning with a valuable reference on energy sustainability. Do Informal Areas Possess Sustainable Potentials? Is Informalisation ‘Smart’? Heba Allah Essam E. Khalil holds a B.Sc (2000) in architectural engineering, M.Sc (2003) in urban planning, and Ph.D (2007) in architectural engineering from Cairo University, Egypt. Currently, she is an associate professor in the Department of Architectural Engineering at Cairo University, with 15 years of academic experience. She has pursued scientific research in various fields, including community development, participatory evaluation, informal areas development, sustainable urbanism, green rating systems, affordable housing, quality of life, and strategic planning. Dr. Khalil has additional professional experience as an architect and as an urban planner on various projects. Essam E. Khalil holds a B.Sc (1971) and M.Sc (1973) in mechanical engineering from Cairo University, Egypt, and DIC (1976) and Ph.D (1977) from the Imperial College of Science and Technology, London University, UK. Currently, he is a professor of mechanical engineering at Cairo University (since June 1988). Dr. Khalil has more than 44 years of experience in the design and simulation of combustion chambers for terrestrial and aerospace applications. He has published more than 600 papers in journals and conference proceedings, as well as 12 books on combustion, energy, and indoor air quality control.